Winx Club All transformations. . Wallpaper and background images in the Winx Club（ウィンクス・クラブ） club tagged: season 3 winx club episode 4 episode 2. 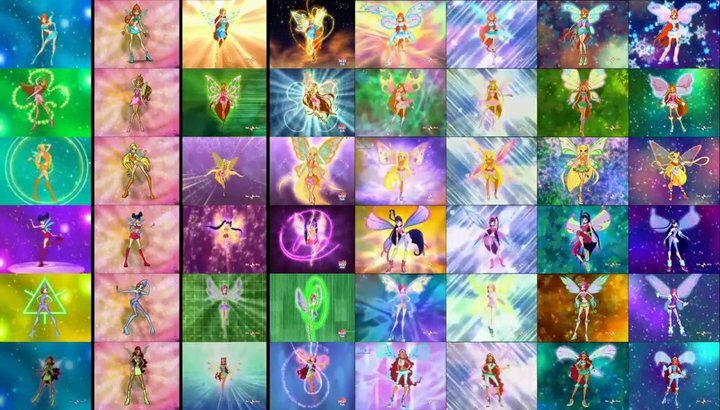 This Winx Club（ウィンクス・クラブ） photo might contain ステンドグラスの窓 and ステンド グラスの窓. link really likee the transformation enchantix!